Elliot Kaye (L), chair of the Consumer Product Safety Commission (CPSC) and CPSC employees watch as a 28-pound (13 kilo) dummy(C) falls over and under IKEAs Malm model chest of drawers, during a live demonstration at the National Press Club in Washington. Swedish furniture retailer IKEA Group is recalling almost 36 million chests and dressers in the United States and Canada that have been linked to the deaths of six children, the U.S. Consumer Product Safety Commission said on Tuesday. The furnishings can topple over if they are not anchored securely to walls, posing a threat to children, the commission said in a statement. The recall covers six models of MALM chests or dressers manufactured from 2002 to 2016, as well as about 100 other families of chests or dressers, it said. "It is simply too dangerous to have the recalled furniture in your home unanchored, especially if you have young children," CPSC Chairman Elliott Kaye said in a statement. Tipped-over furniture or television sets kill a U.S. child every two weeks, he said. 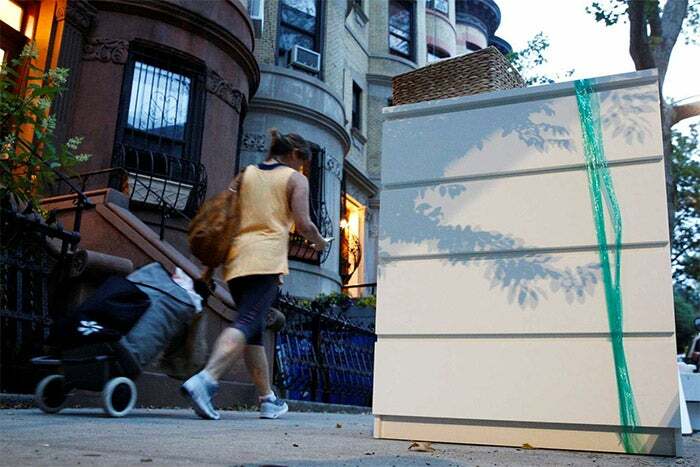 An Ikea MALM dresser is placed by the road following the recall of almost 36 million chests and dressers in the United States and Canada. Two U.S. toddlers died in separate 2014 incidents when MALM chests fell over on them. A 22-month-old boy was killed last year in a similar incident, after IKEA had announced a repair program included a free wall-anchoring kit. None of the furnishings in the fatal incidents had been anchored to the wall. IKEA also had received reports of 41 tip-over incidents involving non-MALM chests that caused 19 injuries and the deaths of three children from 1989 to 2007. As part of the recall, IKEA is offering refunds or a free wall-anchoring kit. The U.S. recall covers about 8 million MALM chests and dressers and 21 million other model chests and dressers. About 6.6 million are being recalled in Canada.